Date Issued: Aug. 2, 1889. 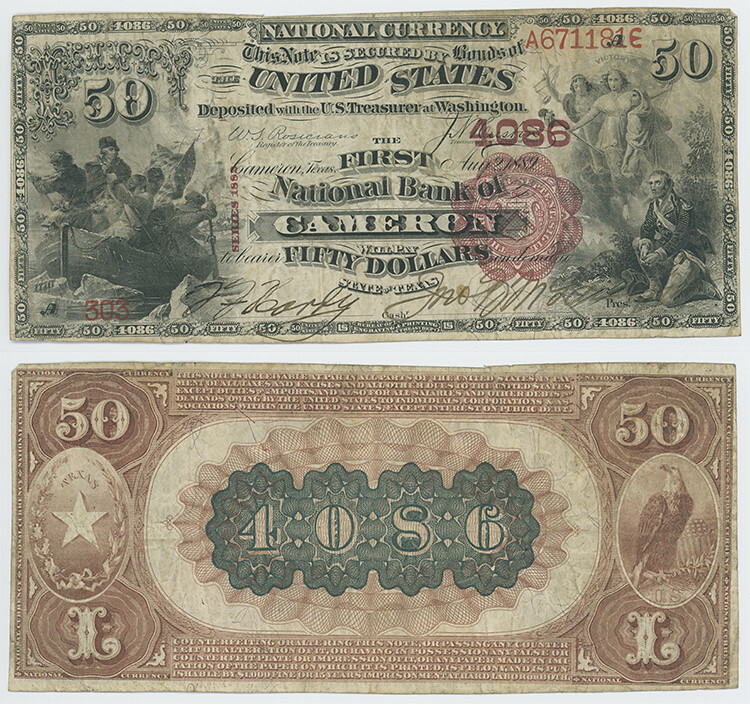 Notes: This $50.00 National Bank Note was issued in Cameron in 1889 by the First National Bank of Cameron. Bank serial number: 303. Treasury serial number: A671181E.